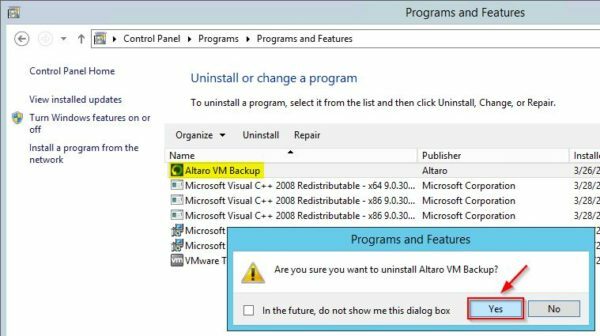 Altaro released the new Altaro VM Backup 8.0, a backup software solution for VMware and Hyper-V environments introducing the WAN-Optimized Replication feature. 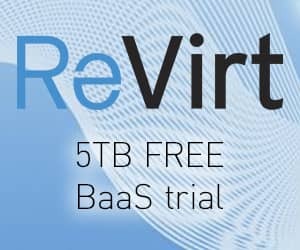 After introducing the Continuous Data Protection (CDP), CBT v2 for Windows Server 2012/2012R2, and Grandfather-Father-Son (GFS) archiving capabilities, the new VM Backup 8.0 version extends available features with an offer suitable for Organizations and Managed Service Providers. 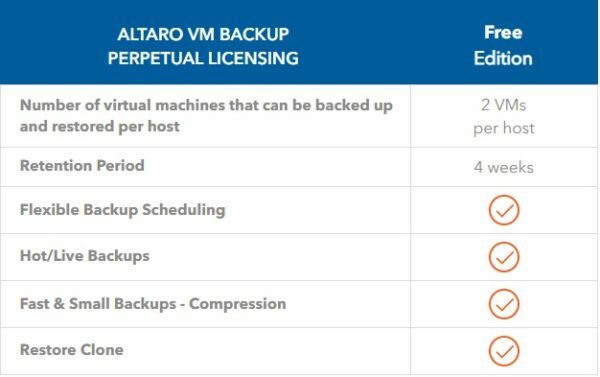 VM Backup solution is licensed per host with unlimited sockets support and it is also available as forever Free edition for 2 VMs per host. 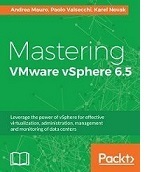 Pricing starts at EUR 595 for 1 host (unlimited sockets) for the Standard Edition. Check out this page for a comparison of editions and full pricing. 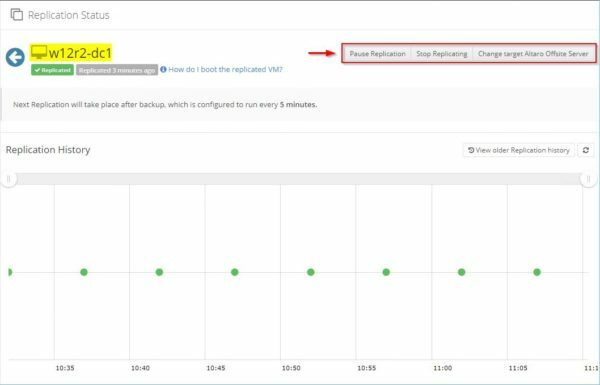 Standard – you can backup up to 5 VMs per host with limited features. 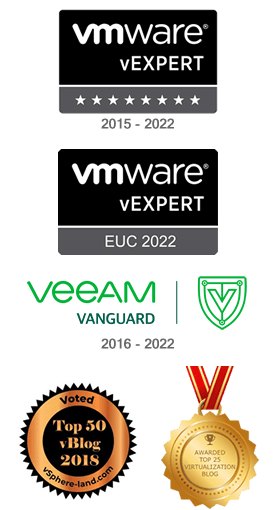 Unlimited – an unlimited number of VMs per host can be backed up and Exchange item restore, Deduplication and Boot from Backup capabilities are supported. The Unlimited edition supports also Microsoft Hyper-V Clusters and vCenter. Unlimited Plus – all the Unlimited features are available with the addition of the Cloud Management Console and the Cloud Backup to Azure features as well as Continuous Data Protection (CDP) and latest WAN-Optimized Replication. 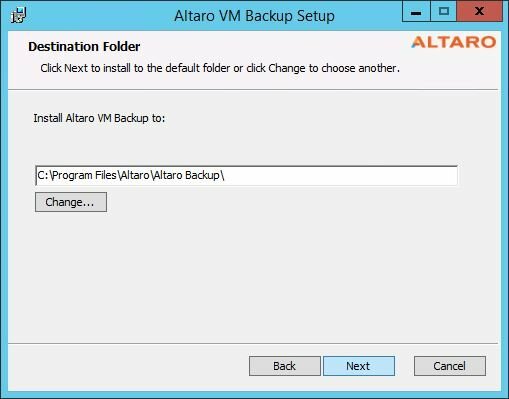 Altaro includes a Free edition and allows the backup of 2 VMs per host. Altaro provides also an edition for Managed Service Providers with the pay based on usage, per VM, per month model. For additional info check out the dedicated MSP page at Altaro website. Available in the Unlimited Plus edition only, the WAN-Optimized Replication is the main feature provided in this new release and allows the administrators to switch the production to replicated VMs offsite with a minimal time by reducing services disruption. Virtual machines in production are replicated offsite by VM Backup making an exact copy of the processed virtual machine allowing a quick fail over to that VM in case of problems occurred in the source VM. Services restoration requires just little time since replication allows to dramatically reduce the RTO. Replication is currently available for Hyper-V environment only while VMware support will be released soon. 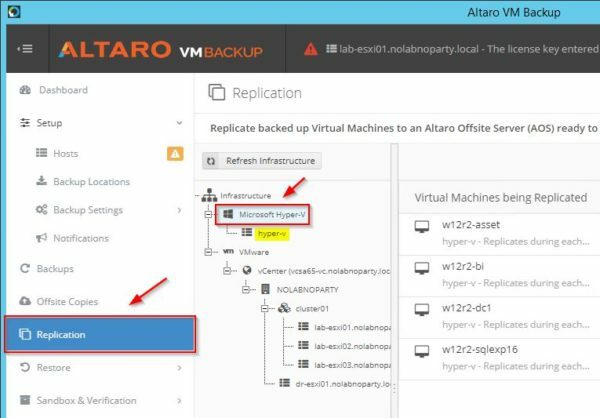 Managed Service Providers (MSPs) who uses Altaro VM Backup solution can now provide WAN-Optimized Replication functionality to their offer. In case the customer production environment fails, the customer can take benefit of this new feature by switching the production to the replicated virtual machines running in the MSP’s infrastructure restoring services and data availability. 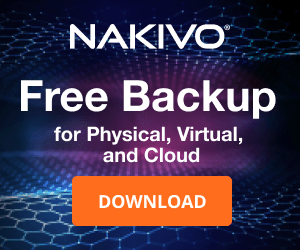 VM Backup 8.0 will support Microsoft Windows Server 2019 as soon as a stable version will be released. Managed Service Providers (MSPs) are now able to provide Office 365 Exchange mailboxes protection to customers storing the backups directly to Altaro's Microsoft Azure infrastructure. Through a centralized and multi-tenant online management console, MSPs are also able to manage and monitor all customers' mailboxes with integrated billing and reports capabilities across all an MSPs' Altaro customers. 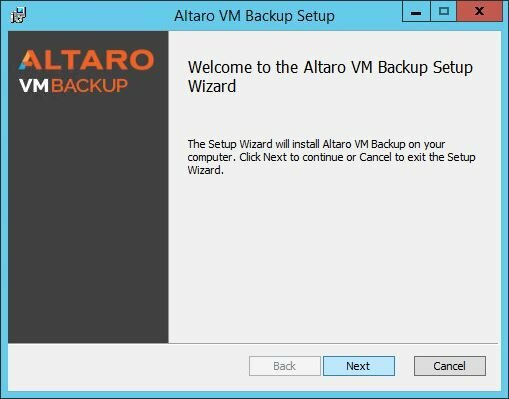 Altaro Office 365 Backup is available to MSPs as 30-day trial. Prior proceeding with the software upgrade, you need to get the new license key for version 8 (free upgrade if you currently have a SMA) because a license key for version 7 won't work. 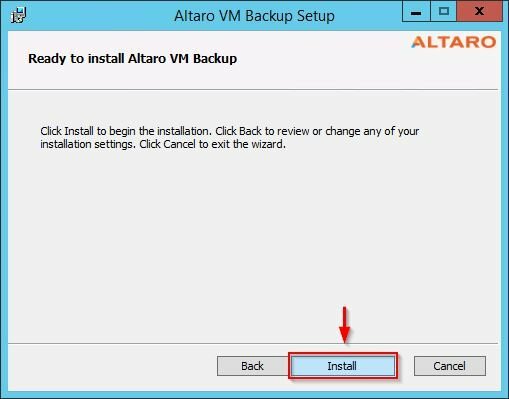 First step requires to uninstall previous Altaro VM Backup version from the server. Keep in mind all settings and backups in place are retained. 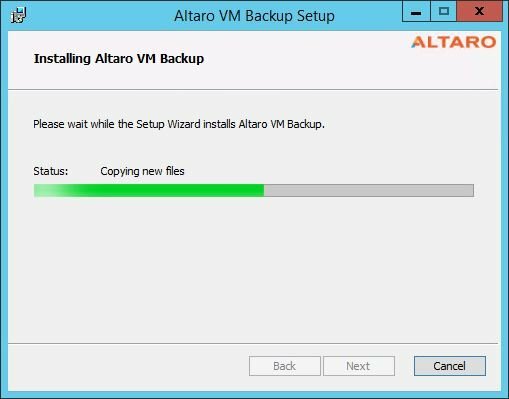 Run the VM Backup installer and click Next to begin the installation. Leave default destination folder and click Next to continue. Click Finish to exit the wizard and launch the Management Console. 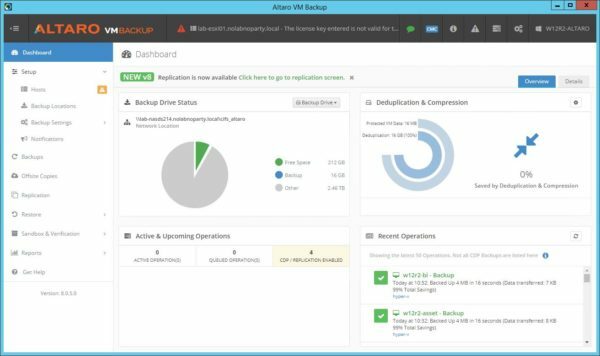 The new Altaro VM Backup 8.0 dashboard. To setup the replication, access the Replication tab and select the Hyper-V infrastructure to specify the virtual machines to replicate. Current release supports Hyper-V environment only but the supprt for VMware will be released soon. From the list, select the replicated VM and click Manage to check the Replication Status and manage the replication. 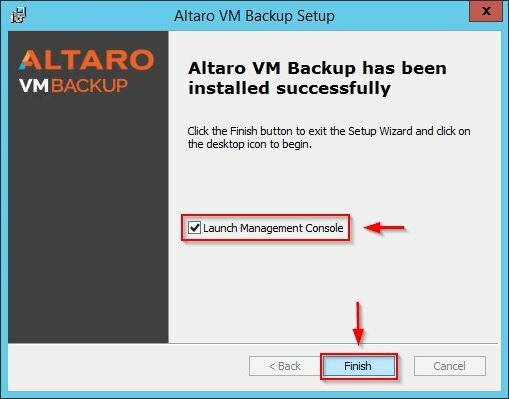 To install and configure VM Backup software, check out this blog series. 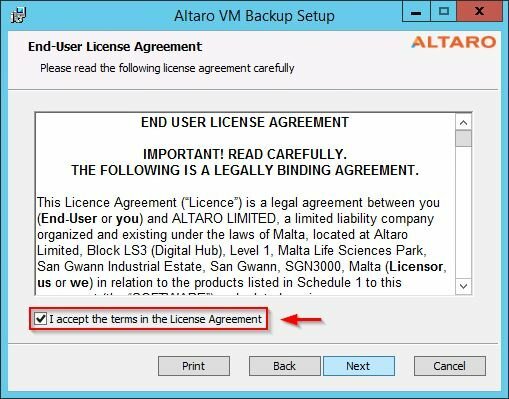 Altaro VM Backup is available to download with unlimited functionality (Unlimited Plus Edition) as 30-day trial.